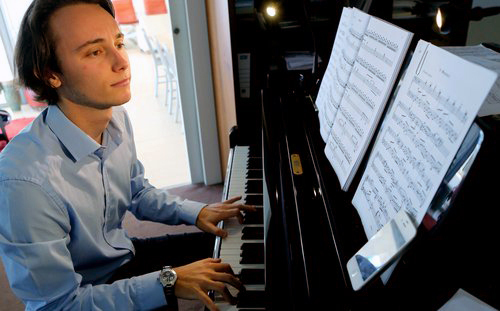 Born in 1993 in Corsica, France, Tony started piano at the age of 8, and obtained his first diploma at 13 years old, from Ajaccio Conservatoire. 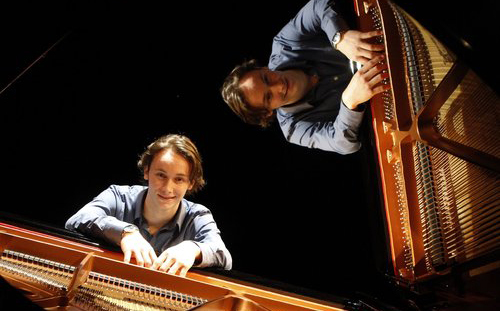 In 2006, he entered Paris Conservatoire with Brigitte Bouthinon-Dumas, graduating two years later with distintions in piano, chamber music, musical analysis, and harmony. He continued for two more years to get the Superior Concertist Diploma, the last from the institution, while studying with French master Bruno Rigutto. He will integrate his class in the “École Normale de Musique Alfred Cortot”, in 2010, for two years, leaving the institution with the Superior Teaching Diploma. He started studying with Leon McCawley at Royal College of Music in 2012, finishing with a Bachelor and Master in Piano Performance, both with honours. Tony is also a chamber musician, creating the Trio Alma in 2016, alongside viola player Joanna Patrick, and clarinetist Matt Glendening, performing all around the United Kingdom and beyond. Tony took part in numerous masterclasses, such as the MusicAlp Festival in Tignes, the Nice International Piano Academy, and the “Music Odyssey” in Greece, where he won a prize for his performance at the final concert. He won several prizes in piano competitions, including Concours National d'Île-de-France, in Paris, the Steinway & Sons Young Talent Competition, and the Brest International Piano Competition. He has also been a finalist at the Brescia International Piano Competition. He performed in numerous venues in France and England, such as the “Georges Bernanos” Hall in Paris, the “Espace Diamant”, in Ajaccio, the “Parvis Saint-Jean” Theatre in Dijon, or the CityLit Institute in London. He performed with world-renowned trumpet player Guy Touvron in “Musique en Chambertin” Music Festival in Burgundy, and in “Jazz in’Aiacciu” International Jazz festival, performing Jazz-inspired repertoire from Nikolaï Kapustin, Chick Corea and Georges Gershwin. He has composed, arranged and performed the soundtrack for the French movie “Beatrice”, by Rinatu Frassati, in 2018. He is planning on performing throughout Europe for recitals and competitions, while still working on various musical projects. For bookings or enquiries, please fill-in the form below and we’ll get back to you as soon as possible.